KUALA LUMPUR (Aug 10): Global airline share prices increased by 5.9% in July, but they remain well down on where they started the year, according to the International Air Transport Association (IATA). In its July 2016 Airlines Financial Monitor released yesterday, the IATA said the initial financial results from Q2 2016 point to another solid quarter for industry profitability and cash flow. It said brent crude oil prices fell back sharply in July, driven largely by a near-term glut in supply. IATA said the futures curve has shifted down in recent weeks, with oil prices now expected to remain below $55/bbl for the foreseeable future. It said yields have fallen by around 6.5% year-on-year in constant exchange rate terms in 2016. Ongoing downward pressure on yields is expected to provide further stimulus to demand during the rest of the year. “The premium segment continues to offer an important buffer for overall airline financial performance. “Premium airfares have held up better than their economy counterparts on many of the main premium routes so far this year,” it said. 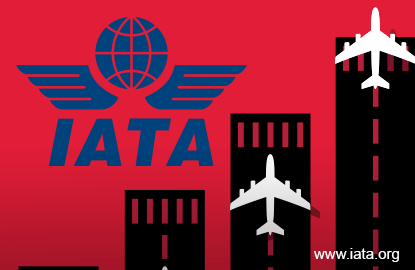 IATA said the global air passenger market grew solidly in annual terms during H1 2016. “That said, the upward trend has eased in recent months on the back of modest economic growth and cumulative impacts of terrorist attacks. “The latest freight volumes data point to an improvement from the weak conditions seen earlier in 2016. “But familiar headwinds persist, and low freight loads are keeping downward pressure on cargo yields and revenues,” it said.